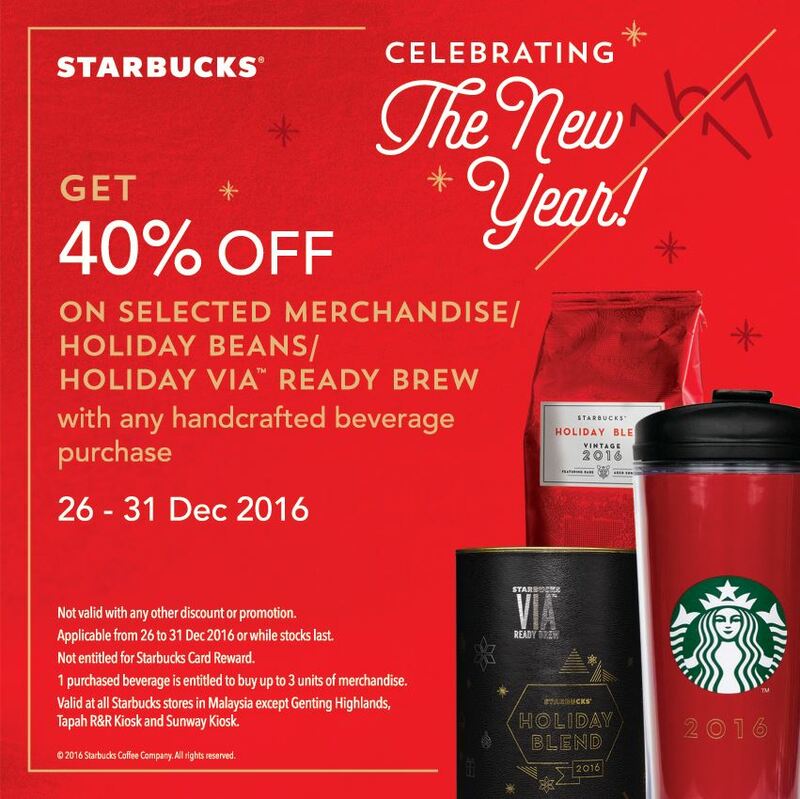 Prepare for the New Year with 40% off on selected merchandises or holiday beans or holiday VIA when you purchase any handcrafted beverage! See you at our stores! 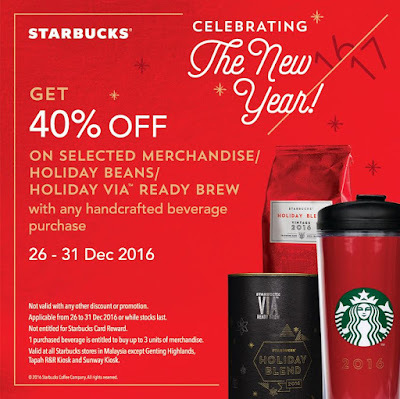 Applicable from 26 to 31 December 2016, or while stock last. 1 purchased beverage is entitled to buy up to 3 units of merchandise.